Yesterday we adapted a prayer idea from Flame Creative Kids Ministry which works brilliant for children with SEND. Here’s our adaptation for PowerPoint for the prayers to use on the big screen. We’re going to take a few moments to pray using the characters from the nativity. For each character there is a picture and a topic that I will read out. I will then give you a moment to either silently or quietly in your families pray for that topic. Christmas All-Age Talk: What shape is Christmas? What shape is Christmas for you? Perhaps the outline of the manger, or the outline of a stable, or a star in the sky (normally a four-pointed star), or an angel. Or it could be the shape of a Christmas tree, or a Christmas tree bauble. Or perhaps a cracker. When Christmas comes to an end whatever shapes we have are put back in the boxes (nativity sets, Christmas tree baubles, leftover crackers) to be used next year. They make only a brief appearance before going into the loft. That’s the real shape of Christmas for me: Jesus comes to be our Saviour, Jesus comes to die for us on the cross. So apart from a nice cosy feeling what does this leave us to do? As the shepherds shared the message so we’re to share with others around us. 1 John 4:14: And we have seen and testify that the Father has sent his Son to be the Saviour of the world. The first miracle of Jesus took place in Cana of Galilee. The event was a wedding. Cana was a inconspicuous little town that lay outside of Nazareth. Cana had no social prominence in its day. It’s interesting to note: Jesus ministry, like his birth, began in a small, unimportant town, to common every day people. Mary the mother of Jesus, and Jesus and his disciples had all been invited to the wedding. Weddings were, and are, a big deal in the Jewish culture. The wedding ceremony would take place late in the evening after a time of feasting. The father of the bride would take his daughter on his arm, and with the wedding party in tow, would parade through the streets of the village so that everyone could come out and congratulate the bride. Finally the wedding party would arrive at the home of the groom. The wedding actually took place in the front door of the grooms house. It was no short ceremony … no the festivities lasted for days. It was a time of great celebration. The groom’s family was expected to provide all the refreshments for this week of festivities. That’s where we pick up today’s Bible reading. Suddenly the host discovers that they are running out of wine. They had more guests than they anticipated. It would have been improper for the culture of this time to not have wine. Jews did not get drunk at these celebrations — drunkenness was considered a disgrace. But the host could have actually been sued for a breach of hospitality to his guest. We can assume that Jesus’ mother was a close friend of the groom’s mother and she heard about the problem. Jesus’ mother comes to Jesus and says, “Son, we’ve got a problem here, and we need your help. The groom’s family is running out of wine.” The fact that Mary came to Jesus with such a problem is a reminder that Jesus is concerned with the everyday things in life that we face. The wine can run out. There are times when the wine runs out. The joy is dry! For example, families that once began with exuberant joy are now ending in the pain of divorce – why? There is no more joy in the relationship. You and I have no resources available within ourselves to replace the joy. Only new wine can come from Jesus Christ. When the wine runs out, Jesus can turn the water into wine. Mary came to Jesus and told him of the problem that they were facing. I can just imagine her telling the groom’s mother, “You hold on just a minute! I know just what to do with this situation.” She came to Jesus and told him. I love her instructions to the servants. “Whatever he says to you, do it” Just Do It! Jesus took the waterpots that were filled with ordinary water for handwashing. When the guest arrived someone would pour some of this water over their hands in a symbolic purification. To eat with unwashed hands would have been a defilement. Jesus took this water and made approximately 180 gallons of wine. It’s interesting to note that Jesus took the water for purification and used it for his first miracle. The water in those pots was merely for an external cleansing. Jesus ministry over the next three years would teach people about an inner cleansing. Jesus takes the ordinary things and makes it into something amazing. But not just that, if we look at the first miracle of Jesus we see this truth: “Jesus is not just the giver of joy…he is the giver of “abundant” joy.” He not only met their immediate need, but he gave an abundance. Jesus did not just make some ordinary wine. No, the wine that he produced was better than that which they had started the celebration with. Jesus didn’t just doctor the water so that it tasted like wine. No, the water in those pots was transformed into the finest wine the people had ever tasted. The truth for us is this—Jesus is not going to just doctor up our lives a little bit, just put a plaster on our needs—no he wants to transform your life, just like he transformed that water. Our lives will take on a new nature. Jesus offers an abundance of new wine at the end. Sometimes its hard for us to understand God not only meeting our need but providing for us an abundance. That’s the story of grace. There is no measure to grace. There will always be enough grace to meet our needs. That’s the story of God’s love. There is nothing that you can do that will cause God to diminish his love for you. Not “just enough”—an abundance Look at creation – the New Forest, there is an overabundance. God didn’t give us “just enough” beauty, it is all around us. Have you ever been to the seashore and looked out over the ocean. There is far more beauty that our eyes can absorb. Have you ever seen a field of wildflowers? Not just enough to fill a vase in your living room, but more than enough. This is the picture of grace…God always gives more than you will ever need! So the wine is poured out and all the people who are present rejoice at the richness of this “new wine”. This was completely against custom. The best wine was always offered first. Isn’t that just like our Lord? The best always comes at the end. The grace we once tasted cautiously—we now drink freely. Jesus has poured out in us the richness of his love and forgiveness. There is one among us who is pouring out the rich “wine” and there is enough for everyone! What do you do when the wine runs out? Mary showed us by example. She told the servants that if they would just do what Jesus commanded they would see a miracle. A miracle that not only met their immediate need…but a miracle of abundance. WALL.E has just met the mysterious Eva and they are getting along well when Eva appears to shut down completely. WALL.E is devastated and tries everything to get her to wake up. He stays constantly by her side – even clinging to the space ship that comes to retrieve her. Why did WALL.E want to be with Eva so much? Who do you want to be with the most? The question we want to ask this morning is who do you want to be with the most? It might be friends and family; it might be famous people – you want to hang out with a great sports person or musician. But to help challenge us this morning on how we answer this question, let’s go back to this morning’s reading and ask who did Jesus want to be with the most? 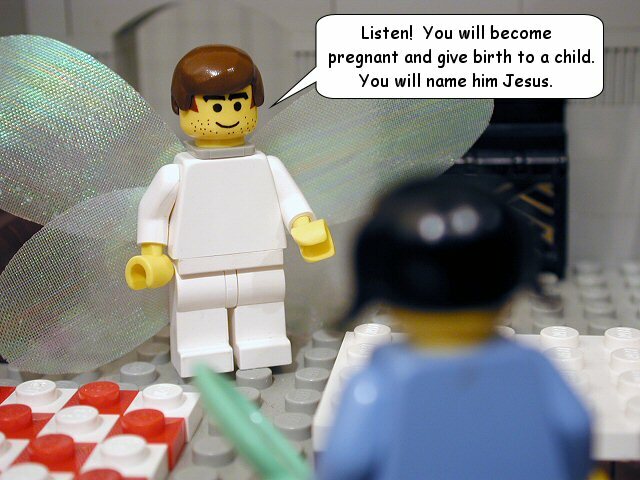 Initially when we look at the story recorded in the last section of the second chapter of Luke, there seems to be little of consequence, a part of the story of the life of Jesus which if we consider at all we see as merely an interesting anecdote. Since it is the only incident in the biblical record of the growing up years of Jesus, it must be important. Out of all the things that Luke must have heard from Mary, he has chosen only this one incident, perhaps because it reveals so much. In this snapshot of Jesus’ life we hear how the scribes, the teachers and the other people present were amazed at his understanding of scripture. Just as an aside, I did some research and found that there are 41 events in the Gospels where people are described as being amazed or astonished when they meet with Jesus. I don’t think that we can automatically assume that He was there teaching an interpretation of the scriptures. I don’t think he was expanding the understanding of the educated men of the temple. As highly educated men they would never have been amazed at the teaching of a child. But, they could have been impressed at how much this boy from a distant village knew of the Law and Prophets. Perhaps, he was able to quote blocks of scripture in response to the teachers questions about what Isaiah said or details about Solomon’s wisdom. For the teachers in the temple to be astonished. I do wonder if His answers to their questions were too good. Too grownup. Too well thought out for a boy of 12. I wonder if he was able to explain the meanings and usage of words like atonement, or maybe how animal sacrifices worked to cover sins and/or other difficult concepts. It is easy for us to think about Jesus growing physically, from a child to a young man, but it is difficult for us to imagine Jesus growing spiritually. The idea that he would learn the understanding of God and the Law as regular people did seems strange, but was it that the Son of God needed to experience a human existence and limitations if he were to understand the human condition? Perhaps the reason he stayed in the temple was to learn things in the scriptures about himself. Maybe, He needs teachers, who were objective and came from that academic perspective to explain about the teaching of the prophet’s description of the suffering messiah. I suspect that Jesus would not have received that level of teaching at home in Nazareth. So, the amazement of the crowd is connected to his dialog with the scribes and Pharisees. But, I am amazed by something else in the scripture. We see Jesus being left in the Temple for three days by his parents. Could you imagine that happening today, imagine the reaction, Parish Safeguarding Officers, Social Workers and the Police would all be working frantically to try and resolve the situation. I don’t know if you’ve ever misplaced something. You know you haven’t lost it, but you have no idea where it is. Maybe it was your wallet, your mobile phone, car keys, or the classic is your reading glasses. What do you do when that happens? Often it’s the worst moment when that happens, it’s as you try to pay for something in a shop you realise your wallet isn’t in your pocket and you’re not quite sure where it is; or you need to ring someone but you can’t find your phone in your pocket, your coat, your man bag or handbag; you’re rushing to get somewhere and of course that’s the moment when the car keys suddenly seem to have disappeared; and the best one is when you’re trying to read something and so you look everywhere for your glasses. Now in my experience I often find my glasses are actually on my head but in other situations what do you do? You begin to retrace your steps so you can find what you have misplaced. Mary and Joseph had been to Jerusalem to celebrate the feast of Passover, their twelve-year-old son was with them. When the feast was over they began to travel back home. They had traveled a whole day’s journey and set up camp that evening before they had realised they had misplaced Jesus. Before you write them off as being bad parents and not looking after their children understand they were traveling in a large group, the women and children generally would begin the journey ahead of the men. By evening time when they would make the camp the men had caught up with the women and children. I am sure Mary thought Jesus was with Joseph. And Joseph thought Jesus was with Mary. So it was not until that evening they discovered Jesus had been misplaced, and even lost at this point. This happened to Hannah and I once when we were in the Marks & Spencers at Hedge End. Josh was with Hannah as she was paying for some things at the till, I thought Daniel was with Hannah, Hannah thought Daniel was with me – which let’s all be real is probably the case – I just wasn’t listening! Anyhow we had that mad panic, where on earth is Daniel! After a few minutes of walking round in a panic, quietly trying to say “Daniel, Daniel, where are you?” without looking like a pair of weirdos to other shoppers, Daniel pops out from a display of coats “You’ve found me!”. He’d gone off and decided that we were all playing a game of hide and seek without thinking to tell us we were playing too! Losing your child is one of the most scariest experiences for a parent. Even if it is only momentary, you know the feeling that almost over powers you. The palpitating heart, the frantic searching, the calling of their name in ever more shrill tones, and feeling of fear, dread, and embarrassment. The questions that surge through our minds: Are they safe? What could have happened to them? There is guilt, shame. We should have kept a better eye on them! We should have been more careful! Multiply those feeling by one hundred and you still could not match that of Joseph and Mary, after all they had been entrusted by God with Jesus, the Son of God! Unsurprisingly once they got over their amazement they were just plain irritated. Just place yourself in the place of Jesus’ parents at this point. You need to be honest! Imagine your growing sense of alarm as the time passed, and the child has not be found. Consider how your fears must have intensified as you recall how absolutely trustworthy Jesus has always been. And then you find him in the temple, seemingly unmoved by any concern for the anxiety His actions had caused. Admit it now, you would be angry with him, just as they were. You would react as any parent would react to a missing child who was finally found and who in their eyes, had been insensitive to their feelings. There was joy, relief but also frustration and confusion. A frustrated mother now addresses her adolescent son and asks how could he have behaved this way, leaving his parents with a major anxiety attack. The term “sought you anxiously” refers to deep mental anguish and pain. The reproach came from hurt feelings. Mary’s loving rebuke brought a respectful but astonished reply from Jesus. Verse 49, “….Why did you seek Me? Did you not know that I must be about My Father’s business?” Jesus was essentially saying, “Mother based on your own experience of the confirmation given you, you have to know who I am and why I have come to the earth.” Jesus reminds his parents that He was, first and foremost, the Son of God, in obedience to Him, and called to carry out His “Father’s business.” He introduces the concept that he has a heavenly father who had an agenda for him that will not always coincide with that of his earthly parents. Jesus for the first time introduces us to the concept of God as a father who is present, someone that you can call “Abba” which means father or daddy. Today we have a hard time understanding how radical this understanding was, in the 39 books that make up the Old Testament, God is referred to as Father only fourteen times and then, never in a personal sense. But when Jesus came on the scene he referred to God as his Father and he never used any other term. When he began his public ministry his awareness of God as his Father became the trademark of his ministry. I also want us to notice that the word “must” was often used by the Lord: “I must preach” (Luke 4:43); “The Son of Man must suffer…” (Luke 9:22); the Son of Man “must be lifted up.” (John 3:14). Even aged just twelve he was moved by a compulsion to do God, the Father’s will. Verse 50 tells us that, “But they did not understand the statement which He spoke to them.” Joseph and Mary were not able to grasp what Jesus had said. The incident ends with his parents perplexed at the events that had just transpired in their lives. The Bible tells us that Jesus went back with them to Nazareth. Verse 51, “Then He went down with them and came to Nazareth, and was subject to them, but His mother kept all these things in her heart.” They both failed to understand and appreciate the full significance of his statement. Mary added this to the list of things that she ponder about her son. It was only after his death and resurrection that Mary truly understood the significance of many of the things that Jesus had said. Luke summarises in verse 52 the eighteen years, from the age of 12 until he begins his public ministry at the age of thirty. Verse 52, ”And Jesus increased in wisdom and stature, and in favour with God and men.” The whole matter is summarised when it says that he “increased” the word can also be translated “advanced.” This is an entirely different word from that found in verse 40 were it says that the child Jesus “grew.” This passage implies more than just the passage of time and the natural physical development, it implies development toward maturity. God is our heavenly father too. How do we feel about that? Do we want to spend time with Him? How far would you have traveled before you realised that you had misplaced Jesus? Or should I ask are you sure Jesus is still with you in your travels? Are you sure you have not misplaced him? When is the last time you felt that you really needed him? When was the last time you had to call on him? God wants to spend time with us more than anything. Let’s be clear about one thing – God is completely infatuated with you. I’m fascinated by surprises – be it things such as “Can it float?” or “Will it blend?” to the most amazing success stories we see on TV programmes such as Britain’s Got Talent. That God uses Rahab is a huge surprise. She is one of two women mentioned in Jesus family tree in Matthew’s gospel – the other woman was Ruth. We have an idea, a perception as to the kind of people that God will use. We think of people that are holy, that pray a lot, that give their money to charity, that wear the right clothes. Rahab isn’t one of these people. The Bible doesn’t have a whole lot to say about the life of this woman. The only account we have of her is found here in Joshua. The story of Rahab is located right in the midst of the biblical account of the launch of Israel’s military campaign to conquer the Promised Land (Canaan). The Israelites are camped by the Jordan River waiting for the orders to cross and take possession of the land they had been waiting so long for. Joshua, their new leader, sends in two spies to help in the planning of his strategy. These spies come to Jericho, the first city in the path of the coming conquerors, and we read that their first stop was the house of Rahab. Initially, it seems that Rahab isn’t exactly heroine material. Rahab was not what one would call respectable or acceptable by standards set by society. In fact, throughout the centuries, Christian commentators have attempted to explain away this seemingly inappropriate woman. Many scholars such as Josephus refer to Rahab simply as an innkeeper. However, whilst she was definitely an innkeeper, she was clearly a woman of ill repute as well. But Rahab’s behaviour did not stop God from using her. God directed the spies to Rahab’s house because He knew her heart was open to Him and that she would be instrumental in the Israelite victory over Jericho. The New Testament describes Rahab as a woman of great faith and trust in God. And the basis for these statements rest in this short event recorded in Joshua 2 that we heard earlier. But let’s just recap Rahab was not a high priestess. She was not of royal lineage. Rahab was not of great wealth or high education. She was a woman who heard of this Great God we serve, and decided she wanted to do the same. Sometimes, and maybe it’s just me, we struggle to think that God can use us. We see that we’re not good enough, that there are better people than us that God should use, or that we have some issue or problem meaning we’re not ready to be used by God. Washing Daniel, our three year olds, hair has been a bit of a problem sometimes. He will sit in the bath while I put shampoo on his hair. Then, when I pour on the water to rinse, he will tip his head down so that the shampoo runs into his eyes, causing pain and tears. Of course this makes it that much harder to rinse the soap out of his hair! I kept explaining to him that if he just looked straight up at me, he could avoid getting the shampoo in his face. He would agree; then, as soon as I start to rinse his hair, his fear will overcome his trust, and he’d look down again. Naturally, the shampoo runs into his face again, and there are more tears. During one of our sessions, while I was trying to convince him to lift up his head and trust me, I suddenly realised how this situation was like my relationship to God. I know God is my Father, and I’m sure he loves me. I believe that I trust Him, but sometimes, in a difficult situation, I panic and turn my eyes away from Him. This never solves the problem; I just become more afraid, as the “shampoo” blinds me. Even though my son knows I love him, he still has a hard time trusting me in a panicky situation. I know I can protect him but convincing him of that isn’t easy, especially when all he can see is water coming down. His lack of trust hurts me, but it hurts him more. He’s the one who has to suffer the pain. I’m sure my lack of trust hurts God very much, but how much more does it hurt me? Often in the Bible, we are told to lift up our head to God when problems come. He knows how to protect us if we remember to listen to Him. Now, when I find myself in a situation where it would be easy to panic, I picture my son sitting in the bathtub, looking up at me, learning to trust me. Then I ask God what I should do. Sometimes the answer may seem scary, but, one thing I’m sure of – He’ll never pour shampoo in my face! If you think of modern day saints Mother Theresa would certainly be up there. But her perspective wasn’t that she was doing anything amazing, but instead that we “Can’t do great things but we can do small things with great love.” Similarly a man was walking along a deserted beach at sunset. As he walked he could see a young boy in the distance, as he drew nearer he noticed that the boy kept bending down, picking something up and throwing it into the water. Time and again he kept hurling things into the ocean. Will you make a difference to the one? There are two types of people – those who love Christmas and those who struggle with Christmas. This year we’re in a credit crunch Christmas. Someone recently said that we have no wise men left: 10 years ago Steve Jobs was alive, Johnny Cash was still alive, and Bob Hope was still alive, now we have no jobs, no cash and no hope! The word I think that sums up Christmas is “Favour”. Sometimes when Christmas comes we don’t feel favoured at all. We see how everyone else is doing and they have their perfect family, but our family needs a UN resolution to get everyone in the same room, we don’t feel favoured. In some families they use a dainty silver bell to bring everyone to the dining table, but your family uses the usual method of the smoke alarm, you don’t feel favoured. Some people in order to have a quiet and peaceful experience put the kids on a different table. You would have to put them on a different table, in a different room, in a different house, ideally in a different town! People buy their turkeys from a Bernard Matthews farm, you buy yours from some discount warehouse, it looks like a dinosaur, takes 6 weeks to defrost, and you end up putting it in the tumble dryer as a last ditch attempt to defrost it – you don’t feel favoured. You left it too late to get the tree and you end up with the one that is two foot high and about forty feet wide. Or even worse it is a very, very small and says the words “air freshener” on it! You don’t feel favoured. The Bible says wherever you are at, however you feel about it, the truth of Christmas is that we are favoured. In Luke 1 the word favour means “God’s grace”, grace literally means a free gift you didn’t deserve. The angel says to Mary “you are highly favoured”. As a youngster I was a choir boy and we used to sing the song Gloria, and the refrain is “Most highly favoured lady” but we would always sing “Most highly flavoured gravy”. But the angel says Mary you are highly favoured. Think of a 14 year old, illiterate peasant girl, scrambling around in the dirt in a small insignificant village in the Roman Empire. Mary was someone who was at the bottom of the social ladder, someone who hadn’t done anything special with their life. But the whole point of grace is that it is not deserved. Grace is what God gives you just because! The angel says to Mary she is highly favoured, highly covered in God’s grace. The Bible says you are favoured, which means his grace is looking for you, searching you out. Mary simply responded to it. But Luke 2 brings us a second type of favour, not simply God’s grace but God’s delight. When the angel speaks to the shepherds he says ““Glory to God in the highest heaven, and on earth peace to those on whom his favour rests.” There is a universal message. “I bring you good news that will cause great joy for all the people.” No one is excluded from this, you don’t have to earn it, to achieve it, but instead you just get it. The word favour literally means the pleasure and delight of God. It can also be used to say God’s longing, God’s satisfaction. I don’t know about you, but sometimes I feel if I could meet God that he wouldn’t be very happy with us, he’d be disapproving of us. If you give your life to God it can feel like you are limited, you have to be smart and serious, carry a big bible, drink milk from a Christian cow, your life becomes difficult and hard. But the Bible says that isn’t the case at all, the Bible says God is pleased with you. It doesn’t matter if you haven’t done anything, it doesn’t matter if you haven’t given him a second thought, he is absolutely delighted with you. He chooses to send the message to shepherds. We might have quite a cute image of shepherds, but the reality at that time was that they were the underclass of Jewish society, they were considered unclean, they were regarded with cynicism, scepticism and distrust. Shepherds roamed around, they had no respect for other peoples land, they would just bring their sheep anywhere they fancied, they were a law unto themselves. The angel says, shepherds listen you are favoured. The shepherds were confused because they were the punch bag of society. Some of us are trying so hard to push ourselves, to validate our identity, we are trying to find it in the toys, the money, school, work – but listen you don’t need to and can’t do anything to make God pleased with you – it is not possible. God is absolutely taken with you, he adores you. At Christmas time heaven and earth are fused together, that God himself comes down from heaven to our earth. That is what is so wonderful. That God’s opinion of you is so great, so passionate, that he wants to be with you, he don’t just want to be like the old uncle in heaven who visits once a year and embarrasses people, but he wants to be right there with you, God there with us, Emmanuel, living in flesh, as we’re favoured.